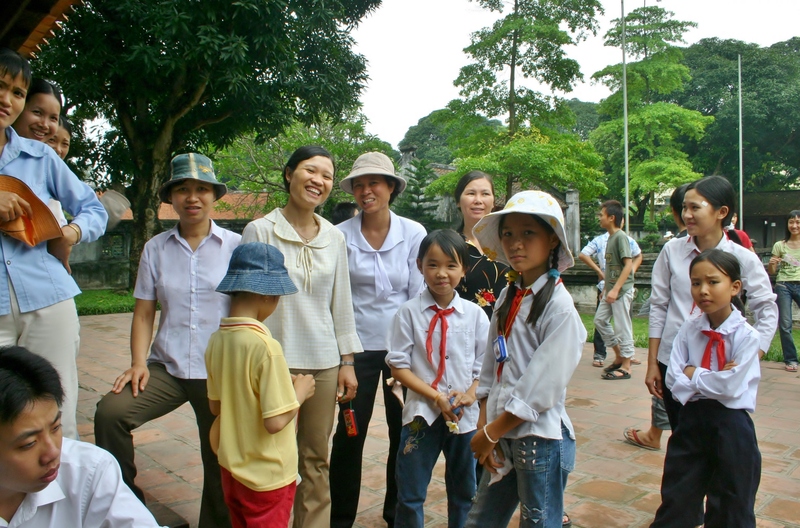 I visited the Temple of Literature when I was in Hanoi. It was May and very hot. When I sat down to rest, sweat pouring off me, I became the center of attention for a group of students and teachers. I was definitely foreign to them. They gathered around me and just stared. I know how it feels to be in a zoo. I started taking pictures of them and showed them the screen. They loosened up and became friendly. Some of them even posed for me.